... or Hire Us for your Own Event! All proceeds from concert go towards helping the drought affected western Queensland area of Longreach and surrounding communities. 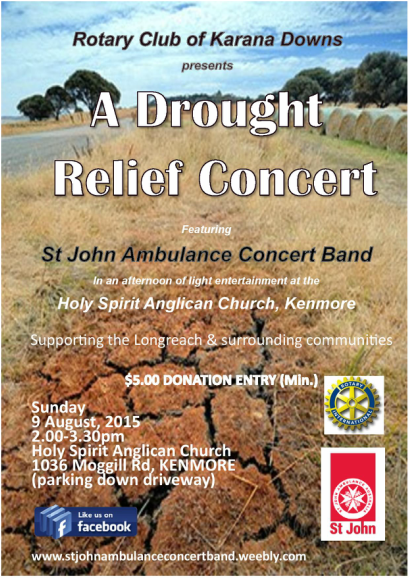 The Rotary Club of Karana Downs presents a Drought Relief Concert featuring an afternoon of light entertainment by St John Ambulance Concert Band. All proceeds from the concert will go towards providing much needed support to Longreach and the surrounding communities which have been significantly affected by the drought. More than 80% of Queensland is drought declared and many graziers have experienced three failed wet seasons. Around Longreach there has been little or no rain for three years. Farmers, local businesses and families are doing it tough and need our support. 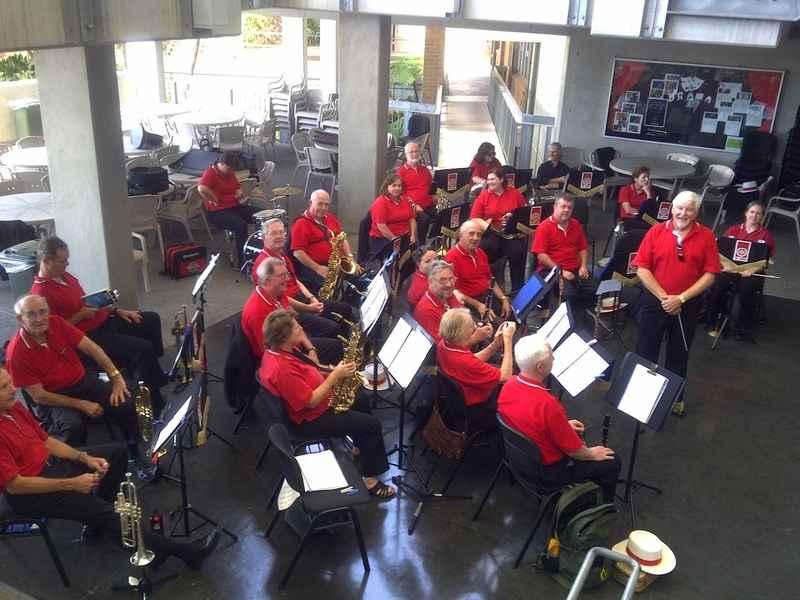 Join St John Ambulance Concert Band at our next performance in 2015! If you can't make it, here are a couple of short videos from our performance at Sherwood Community Festival at the end of last year. You can find these and more on our YouTube Channel! St John Ambulance Concert Band performs for Her Excellency, Ms Penelope Wensley, AC and visitors to Government House (Queensland) in celebration of AUSTRALIA DAY every year. 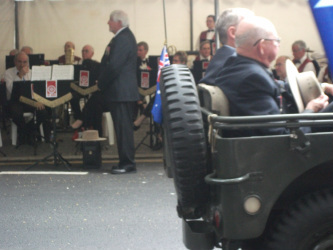 St John Ambulance Concert Band is the official band to play annually at the dias for Brisbane City's ANZAC DAY PARADE. Every year, the St John Ambulance Concert Band performs for the St John Ambulance Qld's Annual Parade (a formal award event for our major stakeholder). Karana Carols every December, is a free event in Kookaburra Park. St John Ambulance Concert Band leads the community in a lively evening of carol singing.